Historically, most of the more well-known races in the metro area have taken place in and around downtown Des Moines. However, Waukee is now home to its own race event—the Waukee Ten. This will be the second year for the event, which is scheduled for Sept. 15. Korsakov also pointed out that this time of year, many area runners are gearing up for the Des Moines Marathon and Half Marathon in October. The Waukee Ten, as a double-digit distance race, serves as a great training race for those events. Given that many people use the Waukee Ten as a barometer for their training for longer distances, it’s an added bonus that the course is certified by USA Track and Field (USATF). According to Korsakov, a USATF-certified course is most important for runners who are aiming to qualify for events that require a specific caliber of result from an official distance race (in other words, running a certain distance at or under a certain time). However, a certified course is also great for those who want to compare themselves to others’ times at that distance. Certification is done via official measurement by a USATF-approved certifier. Those measurements are used to mark the course and place mile markers for race day. According to Korsakov, not much is changing from last year’s inaugural Waukee Ten. Runners can tackle the ten-mile race or elect to do the 5K (3.1 miles) instead. Both groups of runners will share part of the course, which traverses the historic Waukee Triangle. 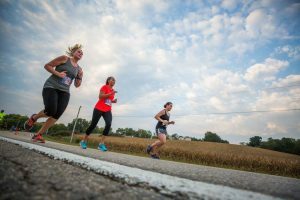 The ten-mile runners will be treated to a scenic tour of Waukee as they travel through the rest of the course, winding along trails, back roads and growing neighborhoods. All runners will finish their races where they started—on the track inside Waukee Stadium. Runners will be well-supported with seven water stations along the course. Three of those will serve Gatorade, one will have gels and four locations will have restrooms. 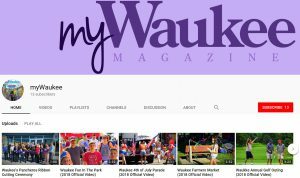 This year’s Waukee Ten is scheduled for Saturday, Sept. 15, beginning at 7:00 AM. (The 5K begins one hour later at 8:00 AM.) There’s still time to register—visit www.waukeeten.com for details. Fees begin at $40 through Aug. 21 for the 5K and $55 through the same date for the ten-mile race. Fees for both will increase by $5 beginning Aug. 22. Participants can look forward to a great post-race experience as well, which will feature music, games, snacks, drinks and the CrossFit FlyOver podium. FOLLOW US ALSO ON TWITTER AND INSTAGRAM!